I just hope that things will come together in the end. Sorry been absent a bit, where does the hand go?! The cockpit looks real nice though! 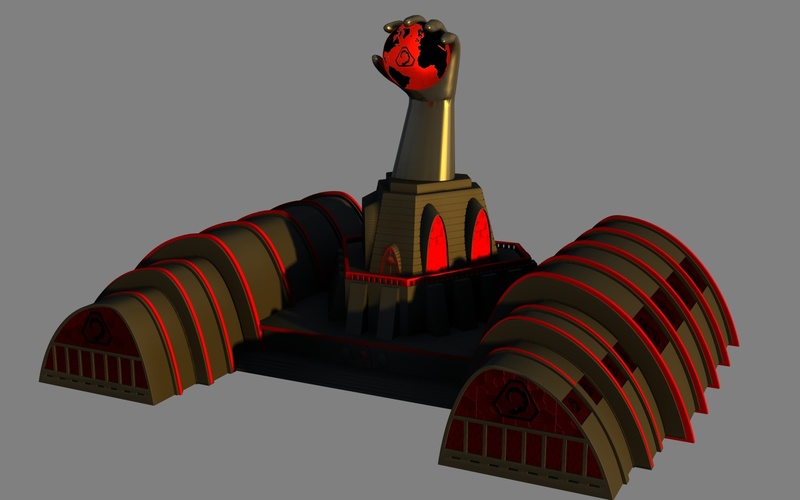 In the Command & Conquer games, the Hand of Nod statue is the crown on top of the NOD faction's infantry building. With the exception of C&C 2 where the hand itself IS the infantry building. You see it in the original C&C, C&C3, and the first person shooter title Renegade. 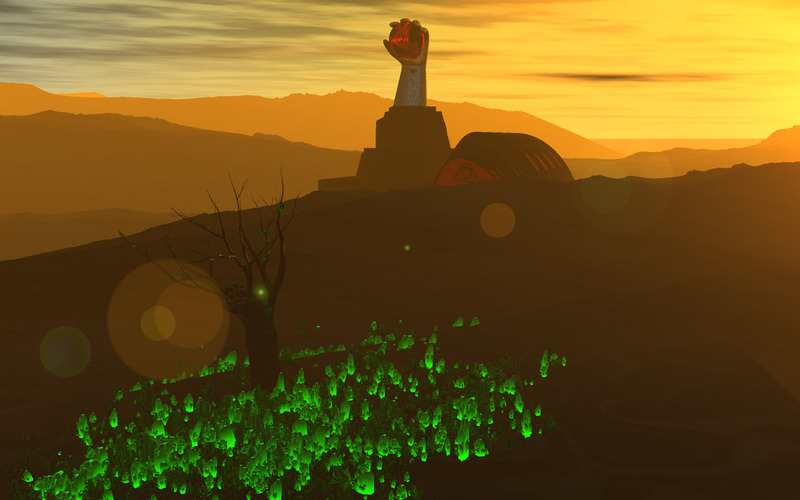 In the concept art for Renegade 2, the Hand evolved from the ruins of a Soviet era statue of a giant hand holding a hammer. The hammer's head and handle had broken off, leaving the hand to grip a piece of old Soviet imagery. I'm not planning on recreating any specific building for my upcoming composition. But I do want people to recognize it as NOD iconography. Started work on the building. OK! I think I have it blocked out as much as I want without going too overboard. Gimme some crits here folks! First time I've tried to design a building. That is truly original. Wasn't the Emporer's ship called the Gripping Hand or something? Since I couldn't think of much else to add to this building, and since it'll be a background item, I figured I'd give it some textures and stick it in a test scene. 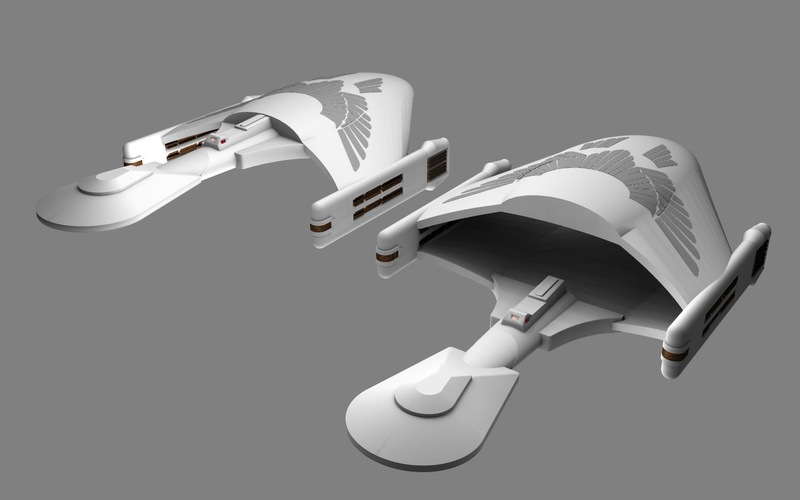 Still moving away from the Klingon D7 base. 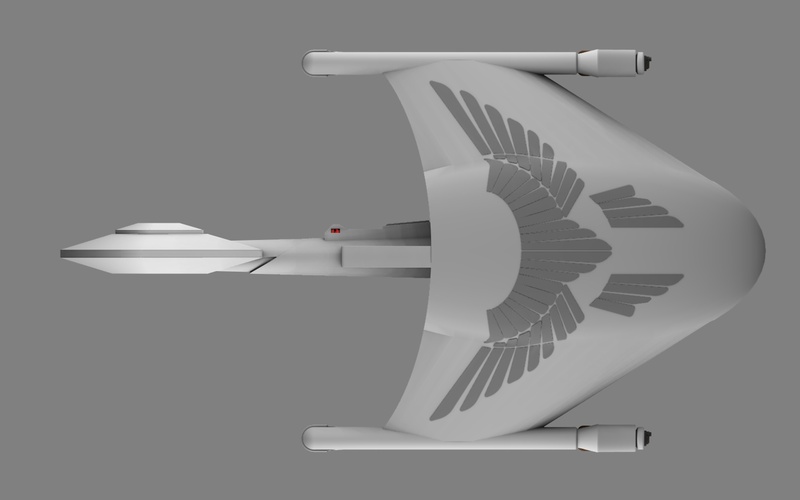 I rebuilt the main hull (again...) and built a feather pattern. 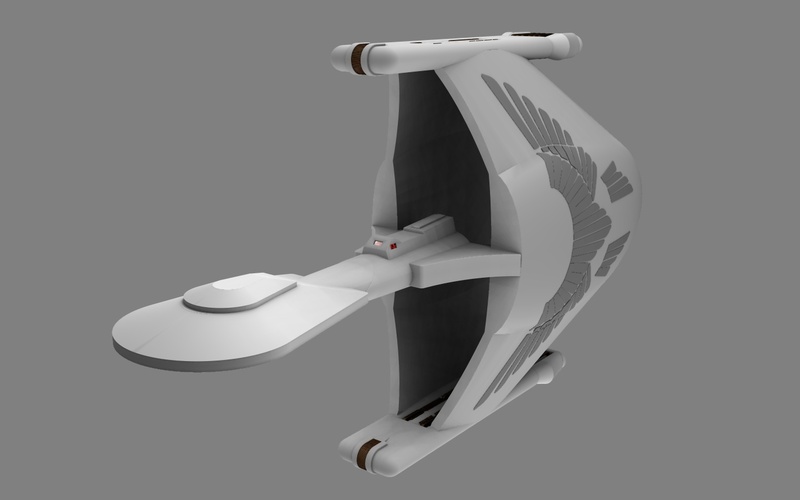 Then I flipped it back on its side and tried a couple of other hull configurations. Not quite sure which one I want to stick with yet. 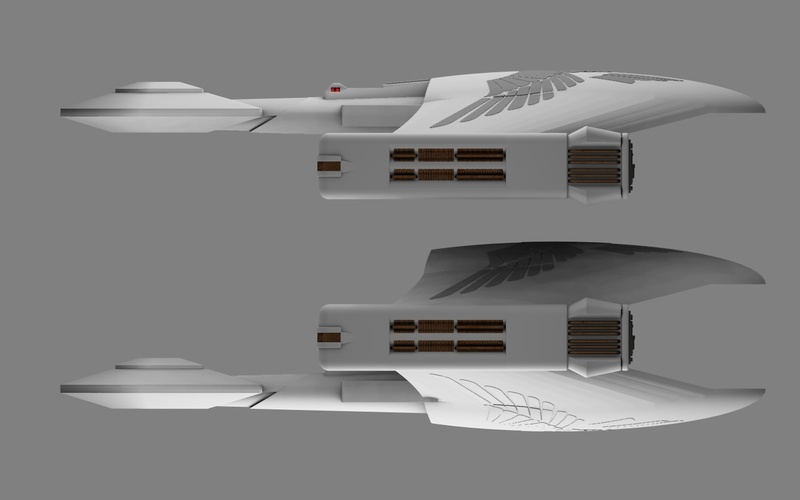 I'm leaning towards the sleeker, single hull version over the...chicken carcass looking version. The vertical twin-hull just hasn't been able to mesh out for me. 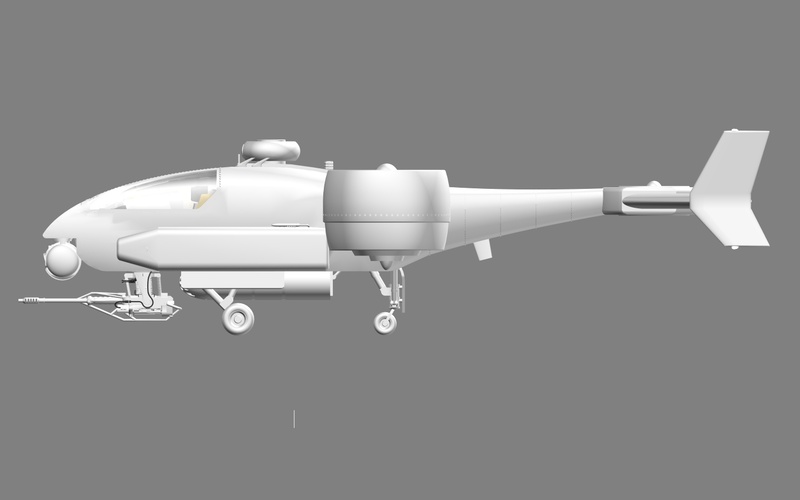 Reworked the fuselage from nose to tail. 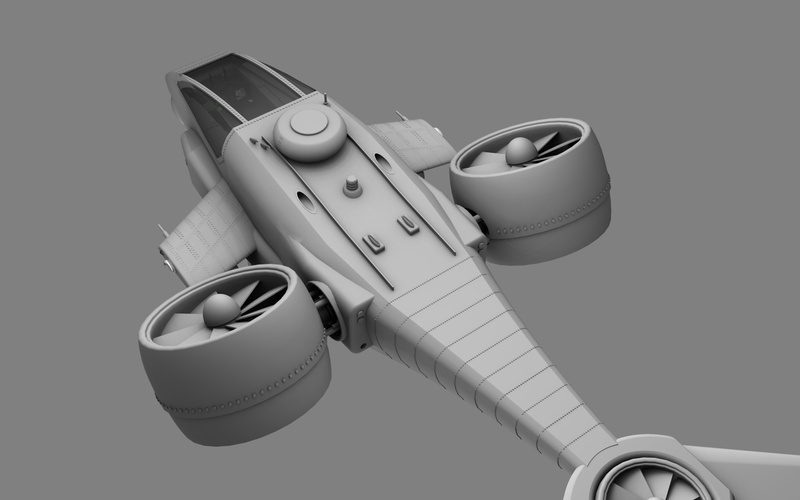 Also made it 25% thinner, added the engine mounts, and chopped the tail down a bit. 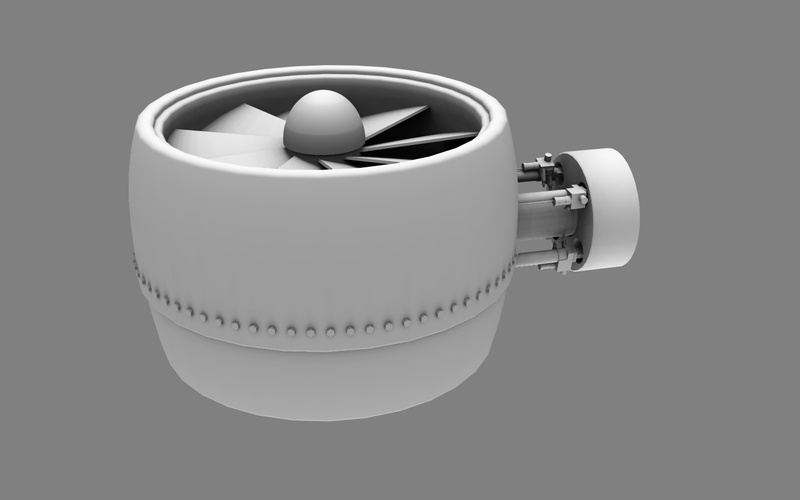 Lastly I constructed the tilt mechanism for the engines. Nice :thumb: It feels a bit cramped overall (the parts seem a bit close to each other) but pretty beliveable. You might want to render the image with greater details since some are getting lost. Kicked up the AA for these two images. 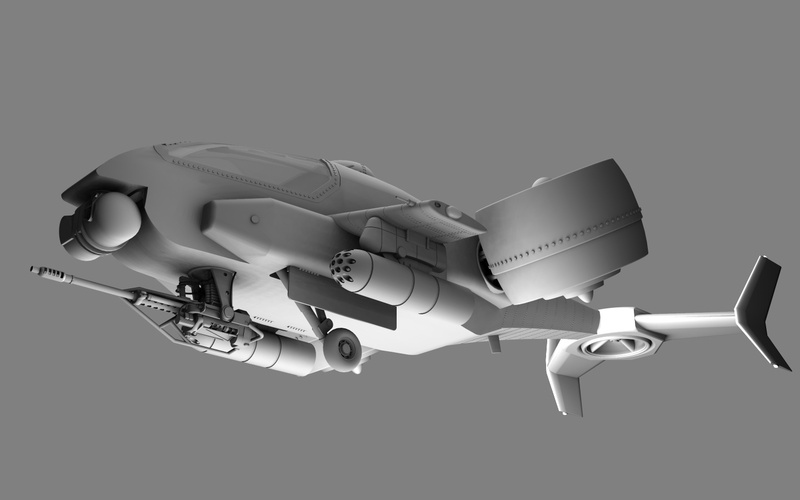 Landing gear, close to 1,000 rivets on the tail, and some other details. More yet to come! It's a curse isn't it? You model all the detail so you can save yourself some texture work, and instead of a bit cheap texture filtering you need lots of heavy AA. 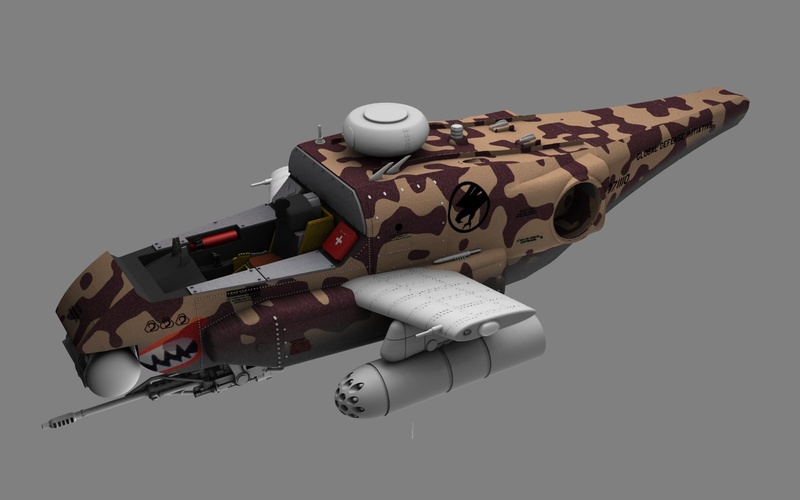 It's a mean looking craft though! 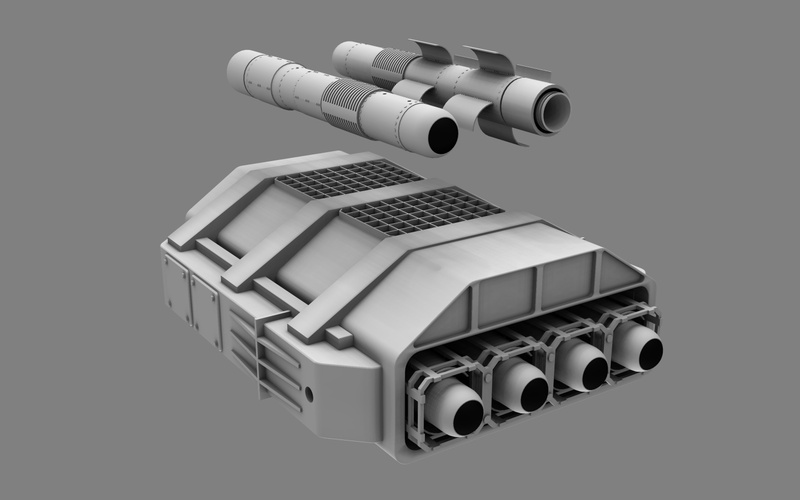 with that big gun and the rocket pods (are these to spec by the way? SNEB 68mm? 100?). 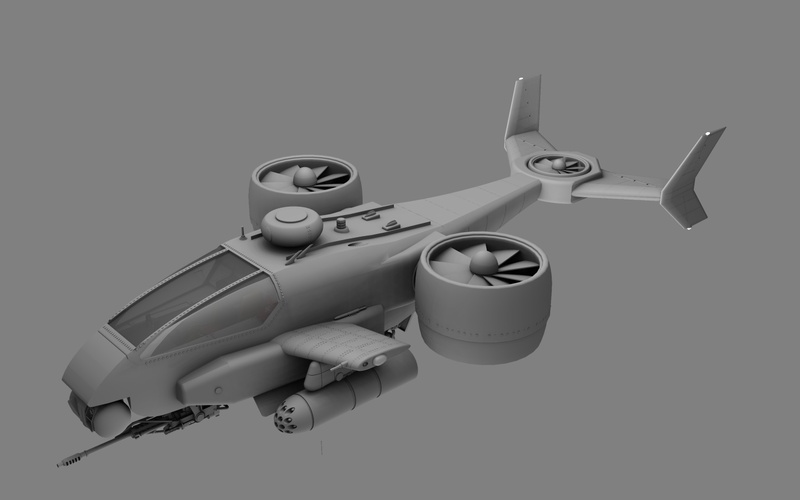 And to think a lot of the tiny details will be lost when I use this bird in a scene. I'm basing the rockets on a 72mm variant. I forget if they're laser, IR, or wire guided. IIRC they have optics in the nose cone. Had to do some digging online to get an average length of 1.4m long. Which means when I get things to a point where it's nearly complete, I may need to adjust the size of some parts to get the proper scale. Completed the landing gear today. Next should be a mess of rivets, bolts, and panels. I was bored this morning so I built my very own hand-held ATOMIC RAY GUN! Contact some water pistol makers--I'd like to see that. It looks even better than these--and they are quite nice. You're too kind! The prop guns at WETA Workshop (they dd Lord of the Rings props IIRC) are fantastic. I don't think my work even compares. 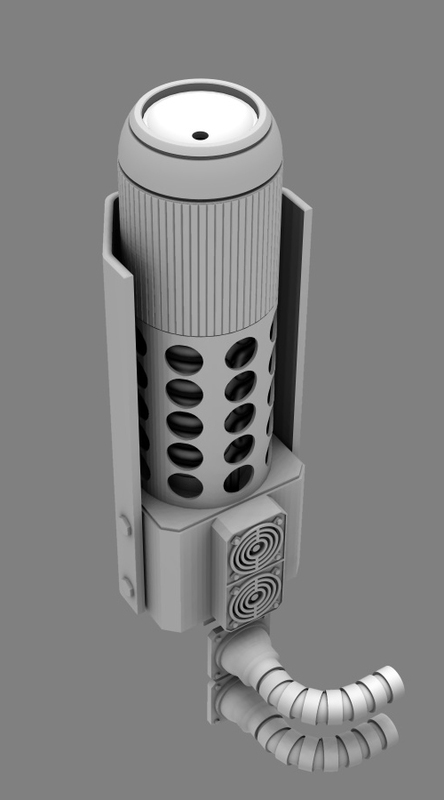 Looking at my ray gun model, it could use more work on it. 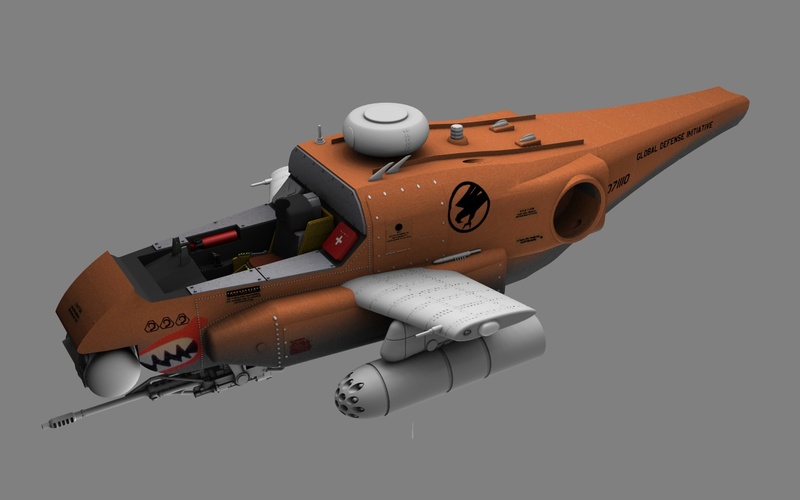 For one the fins could be rounded off or better stylized. But for the utilitarian (for early Sci-Fi style), the rest is fine with me. I was thinking of building a volt rifle based on a plasma ball and a Van der Graaf generator. 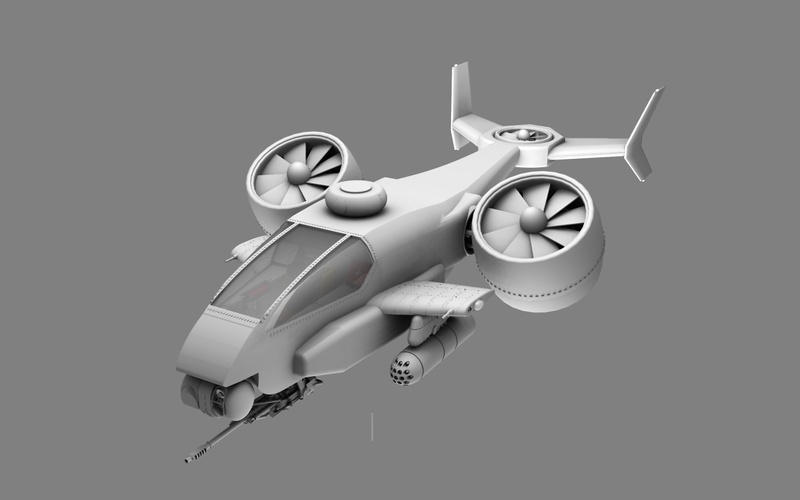 As for the missile launcher, I've been thinking of redesigning the JR7-D Jenner from BattleTech. More walking tank, less silly with legs. 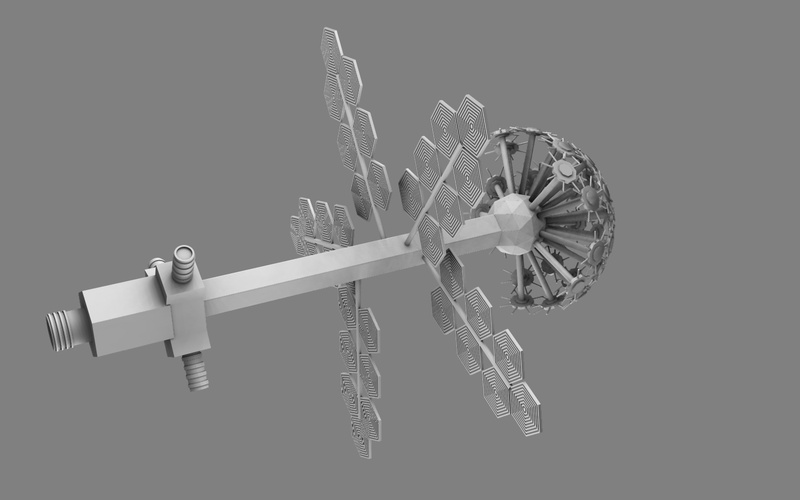 Here's a rough space station concept based on a dandelion. It's a rough sketch sorta thing. They're supposed to be solar panels or something like that. LOL dunno if I want to expand on that design or not. I still have OTHER things to complete first. Lame jokes aside, it looks pretty interesting although it feels a bit fragile at the moment. Looking forward to how will it evolve. A friend (and sometimes poster to SFM) came up with an idea for the Dandelion ship design that I really liked. A truly massive interstellar colony vessel, that drops "seed" ships in orbit around habitable worlds, then moves on to another destination. I might actually visit that design some time. Not much going on model wise. 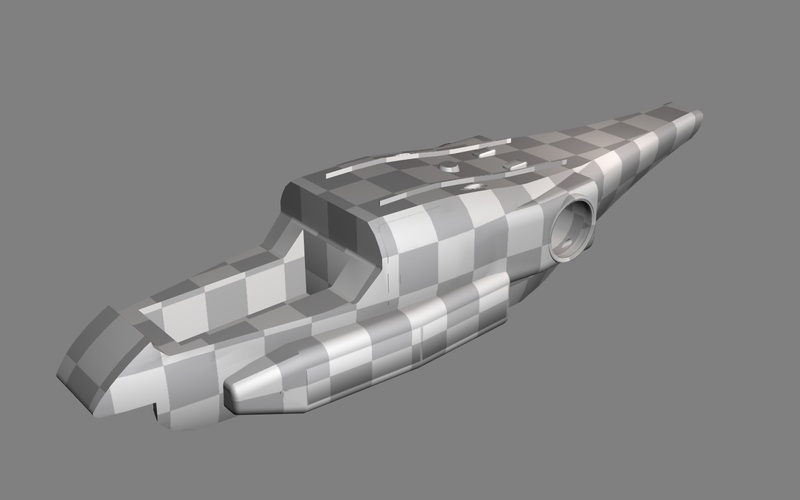 Detailed the Orca's tail section. 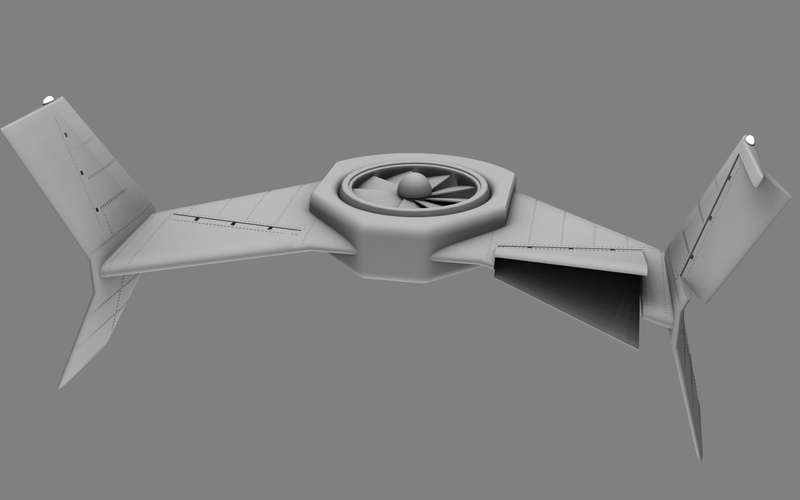 Added rivets and control surfaces. Next are more bolts and rivets for the fuselage and some missing access panels. After that, all that's left are textures! I started building a laser for some reason. Anyone else dislike unwrapping a model? At least the fun part is next! Fixed some alignment problems with the UV map and made 2 new potential textures. 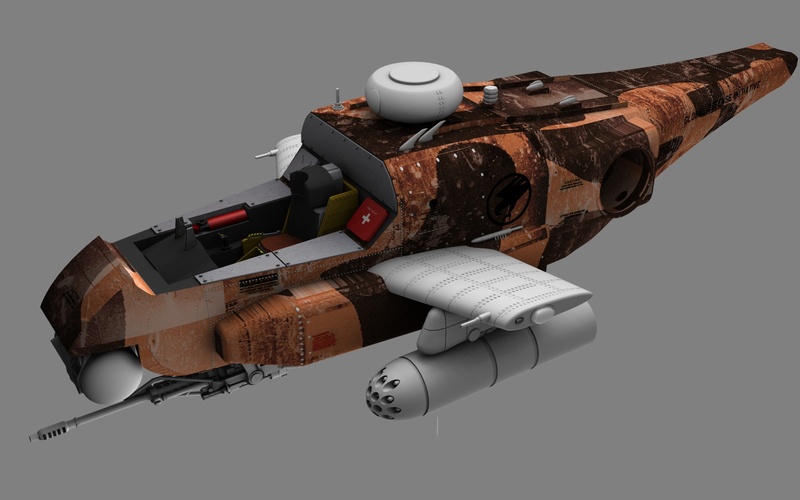 First is a simple tan and gray paint scheme. The second is a mottled camo where I kept the gray underside. The first attempt in my previous post didn't look right for a lot of reasons. OK folks, gimme some crits here!